Last year saw horrific fires all over the world, with some of the worst in history occurring in California. Causing $3.5 billion in damage, the loss over 1,000 homes and six deaths, the devastation of these fires has raised awareness of how critical the work and dedication of firefighting teams really is. If you’d like to become a firefighter pilot, here are some insights from Monmouth Executive Airport – one of the top flight schools in NJ. What are the Duties of an Aerial Firefighter? There are a wide range of duties that aerial firefighters are trained to take on, all focused on the use of planes and helicopters in the containment of wildfires. Your duties would include transporting fire crews, equipment and materials, dropping fire retardant and accessing difficult terrain. As with other roles within the team, you’ll be expected to work long hours in dangerous situations and will have to be ready to work at short notice on emergency operations. The most demanding time of the year is between June and November, known as “fire season”. Outside of this season, duties also include training, assisting on fire prevention operations, and more. Working as a firefighter pilot is an incredibly demanding but rewarding job. These pilots fly in very poor conditions, usually summer afternoons in mountainous regions where skills are challenged by hot, windy conditions, poor air quality and poor visibility. Aircraft used in these operations include helicopters, transport aircraft and single-engine tankers, and pilots of tankers also have to learn how to delicately release tanks of fire retardant while flying in tough conditions. There is a shortage of pilots in the firefighting industry, and if this sounds like the job for you then there will be no shortage of employment, excitement and the opportunity to help people in need. Your journey into this career starts with getting your pilot’s license at a top flying school in NJ like Monmouth Executive airport. We have our own FAA certified A&P/IA on premises and our location outside of the crowded New York area airspace designations means that you get to experience clear, uncrowded skies as you learn to fly. Our classes and lessons are led by experienced and fully certified flight instructor dedicated to helping you achieve your dream. For more information about flying lessons and how to learn to fly, please visit our website at http://monmouthjetcenter.com/ or contact us today. Where Is The Best Place To Learn To Fly In NJ IN 2019? If your New Year’s Resolution is to learn to fly, the next step is to find a quality flight school – so, where is the best flight school in NJ? Fortunately, Monmouth Executive Airport offers one of the best flight schools in the area! Here are some reasons to choose us to help you on your path to becoming a pilot. We have our own FAA certified A&P/IA on premises. We offer lessons on 10 different aircraft. Founded over 20 years ago, we’ve logged 68,000 flight instruction hours. Our location outside of the crowded New York area airspace designations means that you get to experience clear, uncrowded skies as you learn to fly. We have two runways including a 7300 foot main runway, larger than the commercial jet runways at LaGuardia Airport. We have rental facilities at their airport for convenient flying once you have your pilot’s license. We also have affordable hangar space for your aircraft available now for rental or purchase, including custom-designed hangar space. Onsite aircraft maintenance is also available. If you are under 16 years of age, we offer introductory flight training through our Young Aviator’s Club. Kids as young as 8 years old can safely experience the joy of flight! Learning to fly is one of the greatest achievements you can reach in your life, whether it’s to start a career as a pilot or simply to join a fantastic community of aviators. It builds self-confidence, allows you to see the world in a unique and exciting way, and offers endless possibilities for adventure and unique career paths. Whatever your reason for learning to fly, Monmouth Airport is here to help you reach your goals. Learn to Fly at One of the Best Flight Schools in NJ! If you have set your sights on becoming a pilot, Monmouth Airport’s flight school in NJ is the place to be. Start training in the new year and you’ll soon be on your way to a sky-high career! Flight School In NJ: Is The Career Of A Test Pilot Right For You? Being a test pilot is one of the most rewarding careers in the industry, and it’s not difficult to see why! Your job is to fly and evaluate new or modified aircraft, either for the Federal Aviation Authority or the military, often putting you at the forefront of aviation technology. So, how do you know if this career is the right fit for you? Step One – Basic requirements: You’ll have to meet certain training requirements in addition to your pilot’s license and medical health requirements. This includes a certain amount of flight experience, and a Bachelor’s Degree in math, physics, engineering or a related field. You will also have to possess flight clearance through the Office of Personnel Management and be a US citizen. Step Two – Serving in the military: Few pilots become test pilots without serving as military pilots in the US Air Force or Navy as pilots, flight officers or engineers. After completing your military service, you can apply for civilian or government agency test pilot positions. Step Three – Pass Test Pilot School: Training for test pilots is intensive and focusses on learning how to evaluate aircraft performance. These courses last around 48-50 weeks and are offered by military schools as well as private facilities. Here, you’ll learn on a wide range of subjects, including flight preparation, report writing and data collection as well as aero and thermodynamics, control systems and statistics. Maintenance test pilots – Checking the performance of aircraft and parts to ensure they are in proper working condition after maintenance. Acceptance test pilots – Checking the performance of newly purchased aircraft or upgraded aircraft before they are put into service. Experimental test pilots – Checking the performance of an aircraft under new conditions in which the outcomes are not known (for example, first flights, envelope expansion and initial performance testing). Developmental test pilots – Checking the flight performance of an aircraft to investigate the effects of engineering or design changes (for example, new systems and structural changes). As you can see, this is an incredibly intense, exciting and challenging career path – so you need a flight school who can start you out on the right foot. When it comes to choosing from the best flight schools in New Jersey, experience is everything. Our flight school has over 20 years of pilot training experience in training professional and amateur pilots in a range of 10 different aircraft, as well as logging over 68,000 flight instruction and rental hours. We have our own FAA certified A&P/IA on premises and our location outside of the crowded New York area airspace designations means that you get to enjoy scenic open skies as you learn to fly. Don’t Let Poor Weather Delay Your Festive Season Getaway! The festive season is here, and that means holidays, time with family and friends, and travel! Unfortunately, it can also mean bad weather interfering with your travel plans – especially if you’re flying – leading to frustration, delays and plenty of stress. However, there is an answer – private flights from Monmouth Executive Airport! Why are Private Flights Better than Commercial Flights in Winter? Private jets and charter flights can fly when commercial flights can’t. Severe weather at an airport or along a flight path can easily ground a commercial flight or result in it being cancelled entirely, but private flights are usually still available. This is because private aircraft have far more flexible flight paths, allowing them to fly around, above or below bad weather. These aircraft also have access to a much wider range of airports, allowing you to plot your journey around poor weather while still taking off and landing at convenient points. What Airports are Most Commonly Affected by Bad Weather in the USA? The USA has some extreme weather, from high-speed winds and fog to snow and ice, but some airports are far more affected than others, resulting in more frequent delays and cancellations. According to the FAA, the airports in the USA most affected by weather-related delays include some of the biggest international airports in the country. Houston Airport, Philadelphia International Airport, and Boston Logan International Airport all made the top ten list, with San Francisco International Airport and Newark Liberty International Airport taking the top positions. So, if you find yourself planning a flight out of these airports and are worried about weather over the festive season, it’s a good idea to choose a private airport. You’ll likely land closer to your destination and you’re guaranteed get there in the best time, in the most comfort and – of course – in style! Monmouth Executive Airport in New Jersey is a private airport catering to charter companies, private flyers, and their guests through world-class FBO services. With hangar space in NJ, the longest private runway in the USA, and expert aircraft maintenance services – all just a quick hour’s drive by car (or 20 minutes by helicopter) to the center of Manhattan, we’re a real alternative to congested New York City, Philadelphia and Jersey Shore gateway airports. 5 Reasons to Join Monmouth Executive Airport’s Young Aviators Club! Ignite a passion for learning: While you won’t need a college degree to learn to fly in NJ, being a pilot is all about learning. If your child has a passion for flying, joining our Young Aviator Club is a great way to get them interested in science, engineering and technology! Start the path to a meaningful career: Becoming a pilot offers your child many different career paths – and the earlier they start learning and enjoying the wonder of flight, the better! Some exciting career paths include becoming a private or commercial pilot, a sea rescue pilot, a test pilot or a wildfire rescue pilot. Get outdoors in the fresh air: So many parents worry that their children are too wrapped up in their TV series, smartphones and videogames – well, this is one way to ensure they’ll spend some time outdoors! There’s nothing like the thrill of a private flying lesson to get your child excited about being outside – the skies’ the limit! Make friends and join a community with spirit: The aviation community is a wonderful thing to be a part of and a great way for children to meet new friends and explore the world of aviation. It’s a great social experience that’s designed to have a strong positive impact. It’s safe: Many people are afraid of flying and some parents worry that the experience is too risky for their child – but the truth is that it’s incredibly safe, much more so than getting in a car, for example. Your child will be fully supervised at all times by experienced, dedicated instructors and staff, and our aircraft are fully maintained on site for optimal safety. This means that children can get hand-on without putting themselves at risk. 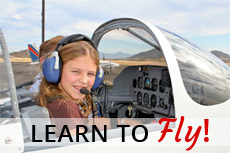 Want Your Child to Experience the Joy of Flying at One of the Top Flight Schools NJ? At Monmouth Executive Airport, we’re offering children in the Wall Township area between 8-17 years old the opportunity to become part of our Young Aviators Club. We’ll pay for a full, hands-on introductory flight lesson in a Cessna aircraft for 6 children per week, and several scholarships are on offer to help children interested in completing their VFR rating. To find out more about our Young Aviators Club or to sign your child up for a truly unique experience and inspire them to find rewarding careers in the aviation industry, please contact us or visit our website at http://monmouthjetcenter.com/ today.